After 24 hours of views at Flickr. I used my iPhone 7 Plus for several stunning captures. These taken with my iPhone 6S Plus. After shooting and processing Brandon’s 12th Birthday Party Pictures, it was off to the beach. My pictures were taken at Wrightsville Beach–near the Johnnie Mercer Pier, near Wilmington, North Carolina. I wanted to capture the sunrise over the ocean. The were a few small cells off shore that added to the composition. Tomorrow’s storm [Hermine], with a forecast of over 7-inches of rain, will likely be more overcast and of course windy. Here are some of my snaps from this morning. See more here. A way of moving some of my gear [kit] in my FTC. The cargo bar and cart, with bag, are from Lowe’s. The bar is set to keep gear from moving and the bag to hold camera equipment. My ThinkTank webbing holds my lenses and other small pieces of kit.The cart for the bag supports the webbing. Testing shows nothing moves around. I also have a foot locker to secure longer items such as tripods. I am nearly ready for the road. 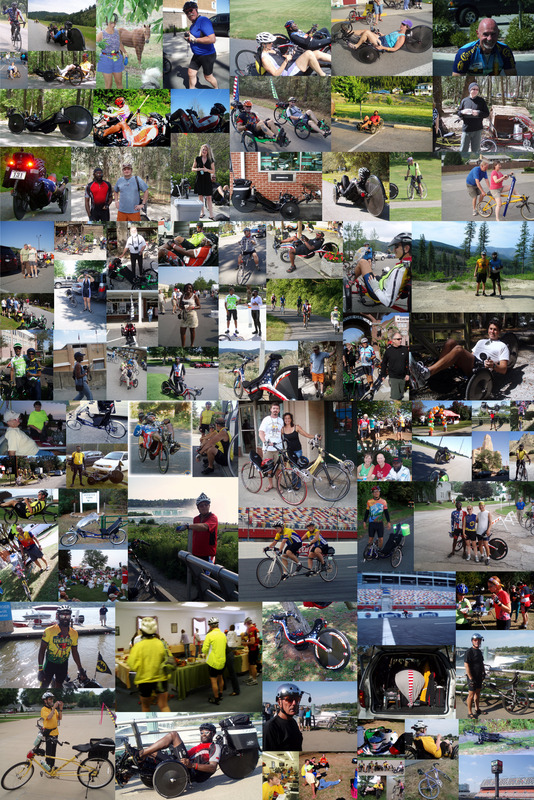 June 29, 2008, the cyclist on the ’08 Trikes Only Tour at Coeur d’Alene, Idaho happened upon a wedding. This novel would begin with a Catrike Rally in Winter Garden, Florida, followed by the Face of America Ride from Bethesda, Maryland to Gettysburg, Pennsylvania. Late June ’08 began the actual odyssey by biking in Virginia & Tennessee; then a drive [with a breakdown in South Dakoda] to Idaho, then on to Wenatchee & Seattle, Washington; from Seattle a one-day [204-mile] bike ride to Portland, Oregon; follow that with a drive to Minnesota for a short visit with Hazel. Go from there to Iowa for RAGBRAI. Meet friends in Illinois and ride with them. Go home for a few days before driving to Buffalo, New York to ride with cyclist at Niagara. Home again, then to Georgia and later to Charleston, South Carolina for more riding. Two Thousand Eight was a heck of a cycling year. I am glad I documented enough of the story that [if I were so inclined] I could indeed write a novel about a fictionized character who took on these feats and met the challenges as they happened. Could there be “a Best Seller” here?